Friday 30th December had been earmarked in the diary as a ‘Family Adventure Day’ for some time…. It was the one quiet day in amongst all the Christmas craziness and the day before everything ramped up again for the New Year. 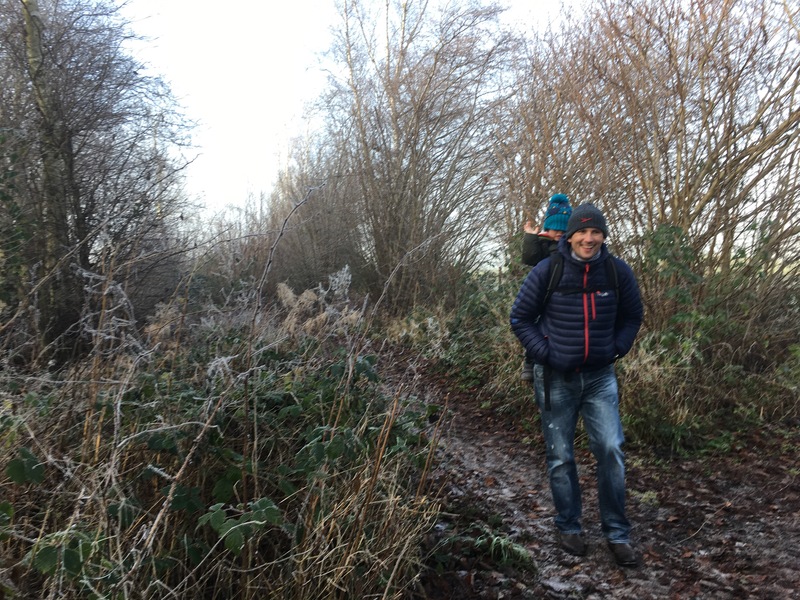 We knew that after all the visitors, the family, the eating, drinking and the general inactivity, that we would need a family adventure day to rejuvenate ourselves, enjoy some together time and some fresh air and exercise. It was also a great way to get our X County Challenge back on track, which we were very aware had been somewhat neglected during the past month’s festivities. 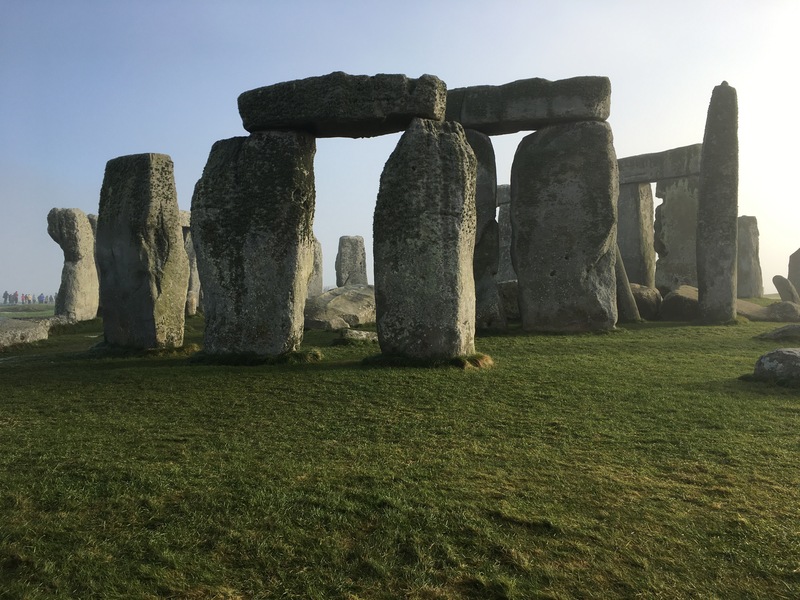 Stonehenge, a UNESCO World Heritage Site, situated in Amsury, Wiltshire was only a 1hour 10minute drive from us (we are realizing just how brilliantly located we are in Oxfordshire – everything seems so close!). The roads were pretty quiet, but so incredibly icy! It was -2oC when we got in the car and a frozen fog hung in the air. 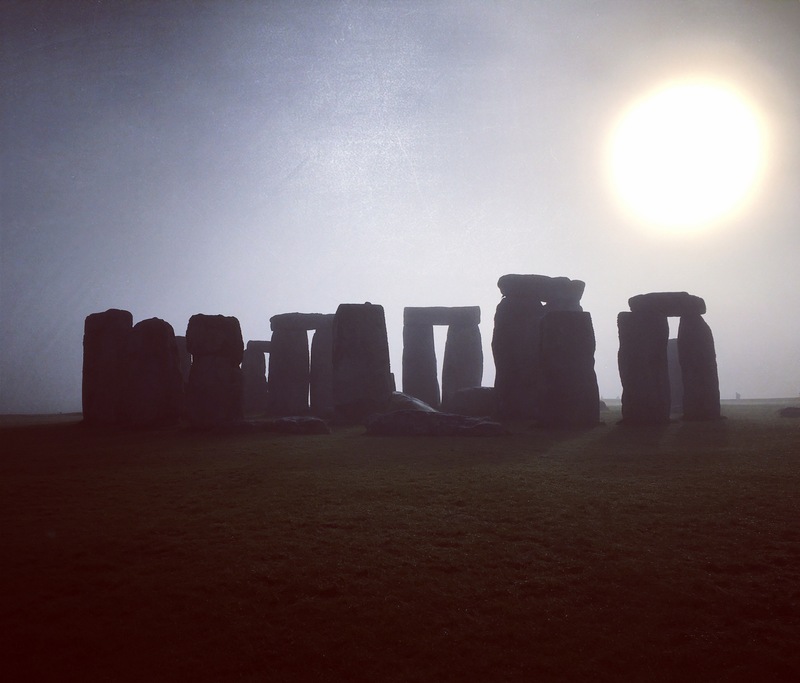 It was only when we were about 10 minutes away that we actually started to question whether we would even be able to see Stonehenge at all as the fog hadn’t burnt off quite as we have expected! But we could see it from the road as we drove past, albeit not exactly a postcard view. We had read reviews online and prepared ourselves for a £15 per head entry fee. It seemed to be the biggest negative comment on TripAdvisor and there were endless comments about people thinking it was over-priced and debates about whether it was ‘worth it’. So, we had agreed before we had got in the car, that whatever our experience, we wouldn’t refer back to the cost, as we had chosen to come and pay the price. However…. we just didn’t manage to keep to this promise…. As we got in for free! We had thought it was only English Heritage membership that got you in for free, but because the National Trust owns much of the land around the site, it is also included as a NT site. Hence, as NT members, we got in for free. Bonus! So that was a very pleasant surprise and awesome that that money can go towards a future adventures! 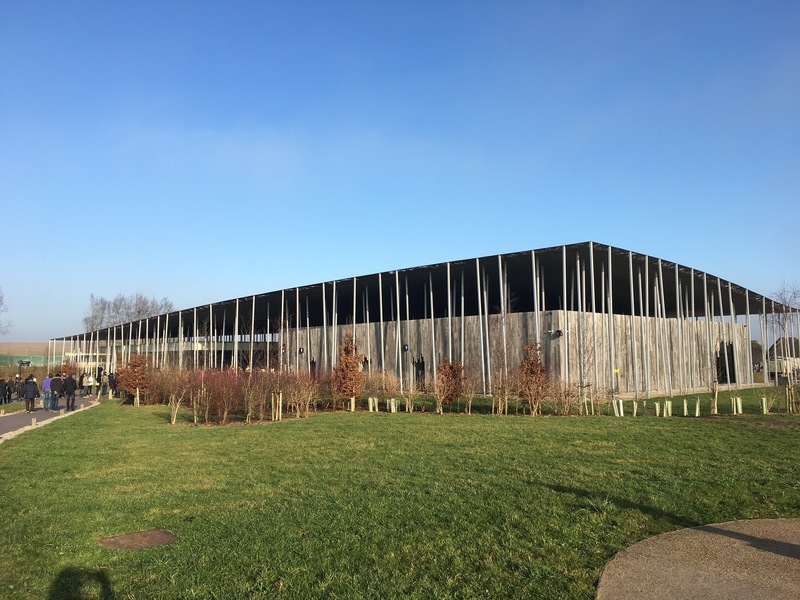 The Visitor Centre itself is a pretty cool building; I guess so it should be for the alleged £27million that it cost to build, but English Heritage have done it incredibly well. It’s unassuming and natural looking and blends into the landscape nicely. It was also extremely well organised. I don’t think we were expecting such large crowds on this funny day in-between Christmas and New Year, but crowds there were. We arrived early (10am) and already there were queues, but by the time we emerged there was a pretty long queue snaking back from the kiosks and down the path towards the car park. Everyone was moving through pretty quickly, but I guess the advice is – get there early! We hadn’t bought tickets in advance (thank goodness, given we unexpectedly got in for free! ), but it seems that most people hadn’t either, despite the advice on the website. However, I guess that Summer might be a different story. Upon entry, we went straight into the exhibition and it really was impressive. 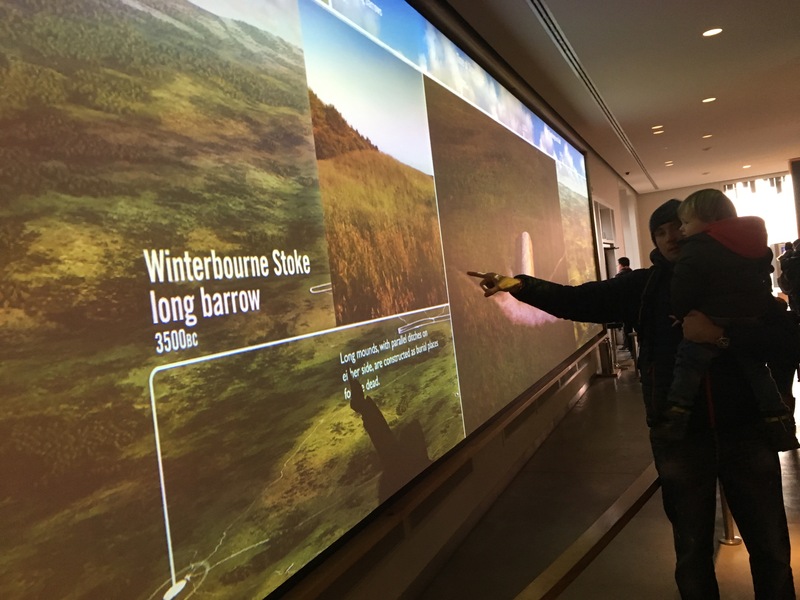 The first area that you walk into is a round room with 360° screens showing Stonehenge through the seasons and through day and night. It was fantastic, and Oskar loved it. Although many people passed on through pretty quickly, we sat down in the centre and watched it through a number of times. It was quite mesmerizing. 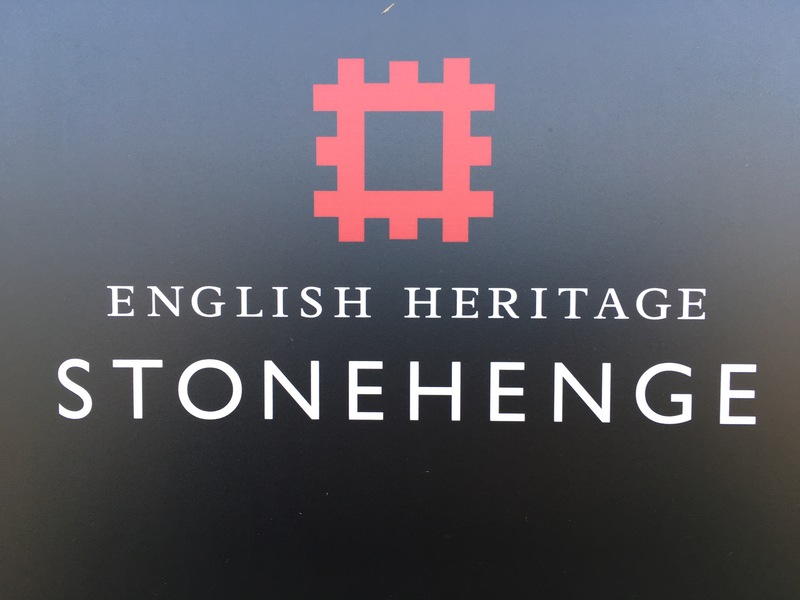 We then explored the single room exhibition, which contained a lot of fantastic information and displays about when Stonehenge was built, other henges around the U.K., how they think it was built and why, life at the time it was built, how Stonehenge has changed through the years and been re-built; it was genuinely very interesting. 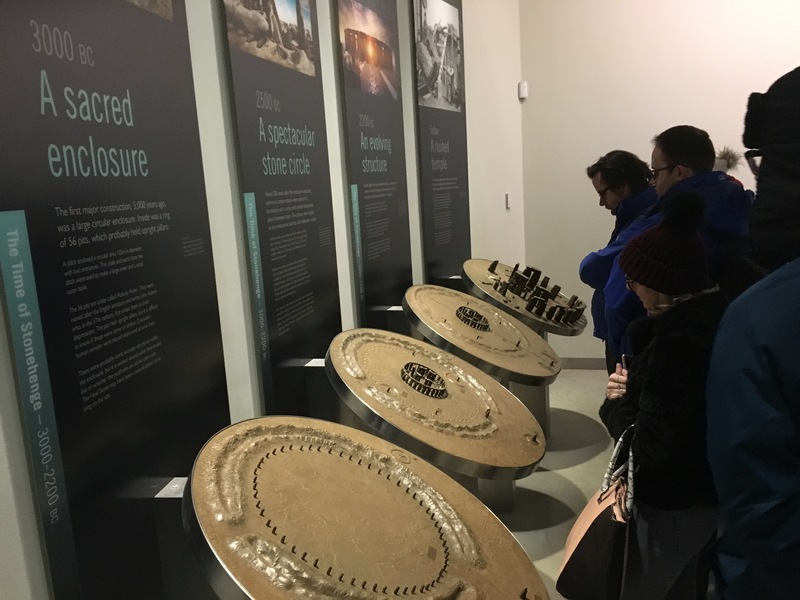 I put my hand up and say that I can lose interest quite quickly in museums on account of the endless amounts of in-depth information to process, but there was just the right amount of information on each display and some interesting artifacts to see. One especially interesting display was the skull of one of our Neolithic ancestors, which has been painstakingly pieced back together. It was excavated in 1863 from a long barrow burial mound at Winterbourne Stoke and displayed beside it is a sculpture of a face that has been recreated from the skeleton. The weird thing is that he looks remarkably normal; if he was standing next to you at the exhibition looking at the same display as you, you wouldn’t look twice. OK maybe you would; but only to think that his beard could do with a trim. It really brings home the human side to ‘the stones’ and the remarkable similarities between us and our ancestors thousands of years ago. After poking around the visitor centre, Oskar was getting itchy feet and starting to make a lot of noise, so it was time to head outside. Although there are shuttle buses that can drive you straight to the Stones we chose to walk the 1.5 miles west towards the stones. It is a lovely walk, which takes in a few other Neolithic sites enroute. You start out on the road, but then can cross over the road and head into a field (the NT land) and follow your nose (and the footprints) in a westerly direction. We have to say, it’s not exactly obvious where to go as there are endless little gates going into the forest on your right hand side, and footsteps heading off in the other direction through the fields; but we headed through the fields, following our noses, and then dipped into the forest a bit before eventually hitting the road that leads up to Stonehenge itself. It was a genuinely pleasant walk, and by this point the sun had emerged and was attempting to burn through the heavy fog, which had already lifted slightly. Stonehenge itself was strangely smaller than I expected but that didn’t take away from its impressiveness. I guess you can look at it at different levels; if you look at it just physically it is a pile of stones that are quite aesthetically pleasing, but if you stop and imagine the history, the life that happened around the stones, and the ceremonies that used to be performed here; wonder why it used to be such an important site, how on earth they built it and why here; if you imagine it in its grandeur back 4500 years ago when all the other sarsen and bluestones and were still in place, and imagine the life going on around it, it is breathtaking. It is emotive. It is beautiful. And we loved it. Yes, there are lots of other people there – in 2015 alone, there were over 1.34 million visitors – but somehow it just doesn’t matter. Your gaze is always centralized on the stones, so the people just blend into the background. Plus the paths are well organised, so at your first view of the stones you are able to take photos without any people at all in the shot. 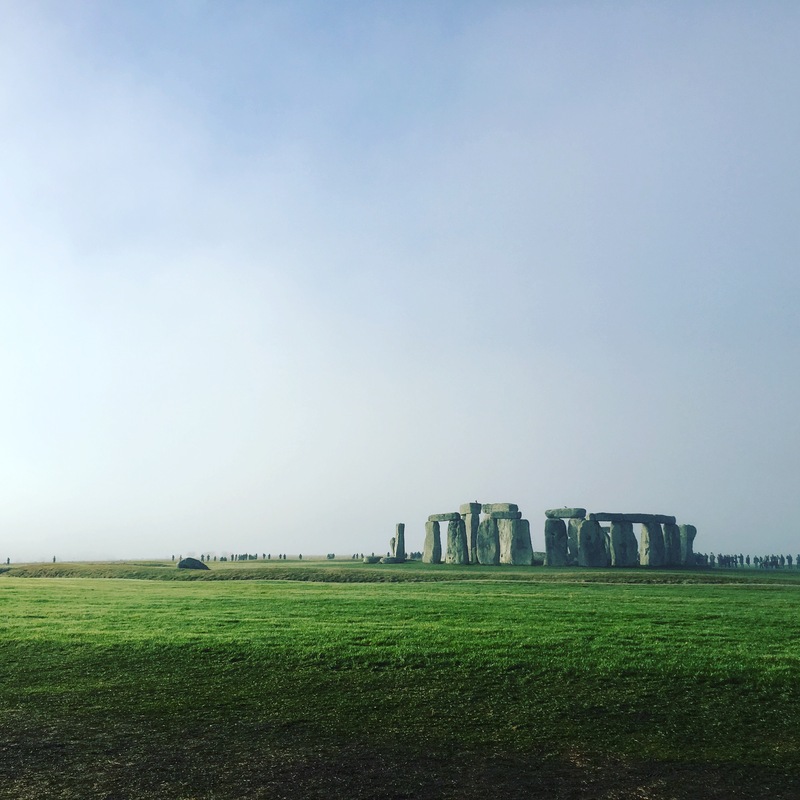 We took our time walking around the stones, admiring them, taking photos, and just gazing. The sun had finally beaten its battle against the fog and blue skies were above us; it was a perfect winter’s day. 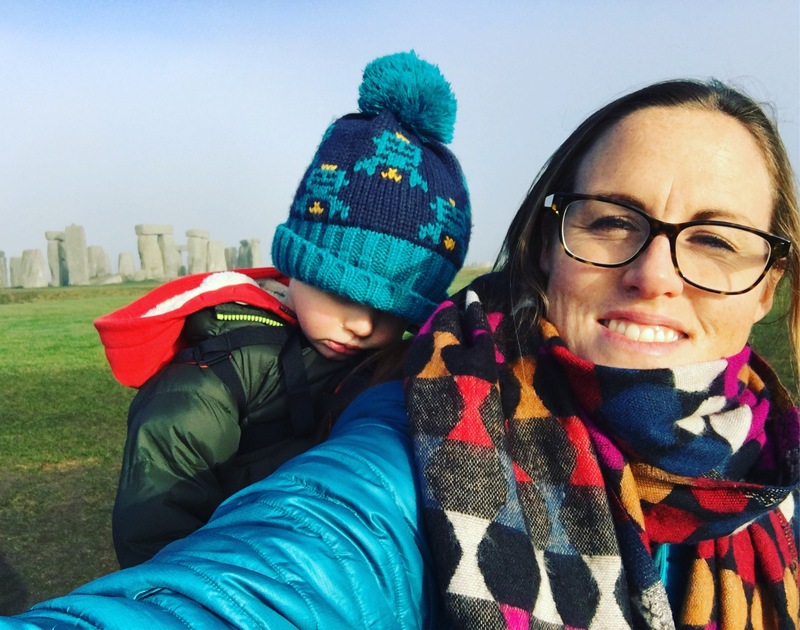 We spent about 45 minutes up at the Stonehenge site before deciding to get the bus back down to the Visitor Centre, and this was only because Oskar was chanting over and over “I’m hungry mummy… I’m hungry daddy…. “ and we didn’t have any more rice cakes to fob him off with. Oskar’s dreams came true when at the bus stop we saw a digger and dump truck, which had clearly been working on building a new turning circle for the buses – big rocks AND a digger. What a great day. All too much for Oskar! There is a great café at the Visitor Centre with loads of delicious looking sandwiches, cakes and the like, but we’d bought a picnic with us, so just picked up some hot bevvies to warm us up and headed back to the car. It had been a brilliant day. 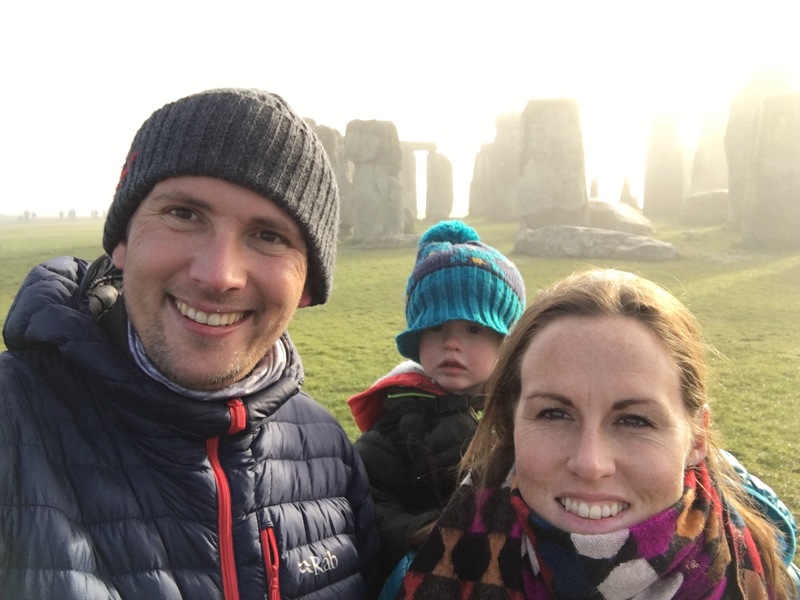 We thoroughly enjoyed Stonehenge and I could genuinely go back tomorrow and enjoy it just as much. We also loved the stunning scenery, idyllic villages and countryside driving through Wiltshire and have ear-marked loads more places to come back and visit. All in all a great way to re-ignite our X County Challenge…. Thank you Wiltshire for having us! What a great adventure ! Love the details and information supplied. Must visit this place on my next trip.